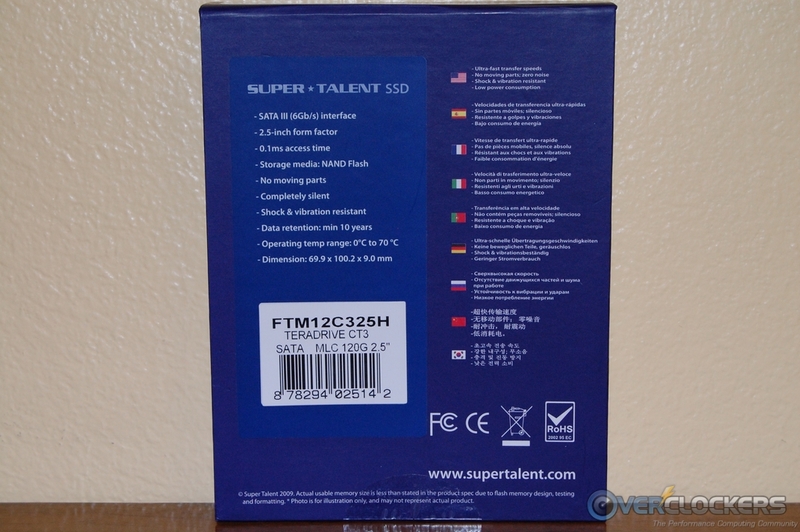 The name Super Talent will probably bring memory modules to mind. 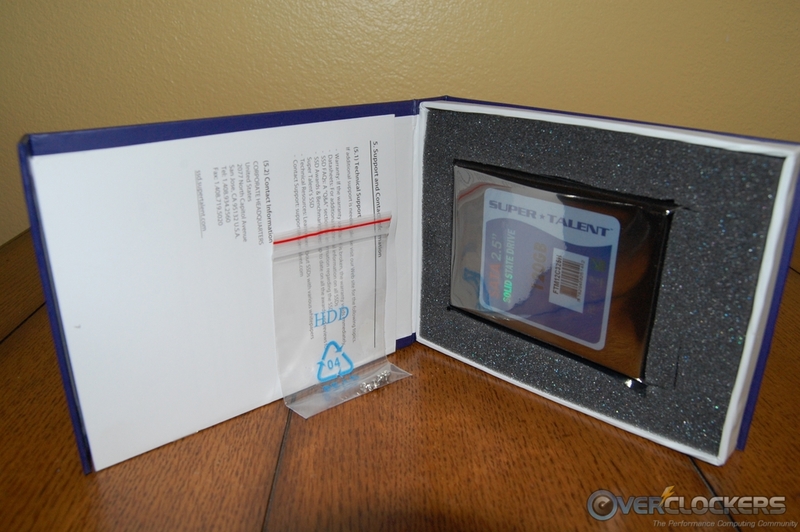 Like most memory manufacturers have done, Super Talent has migrated into the SSD market with a full line of products. This being our first opportunity to review a Super Talent product of any kind, we’re hoping it means they’re looking to get more involved with the enthusiast community. If that holds true, then we should see Super Talent provide more products targeted at that market segment. 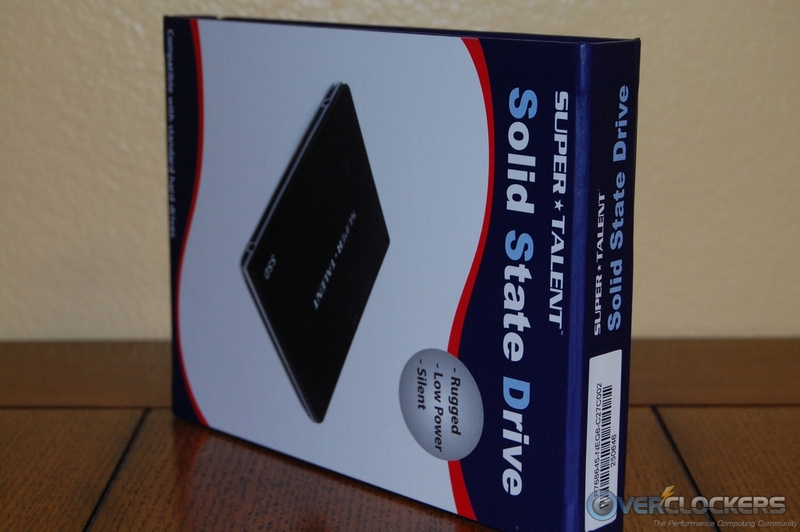 Today’s review is on their TeraDrive CT3 120 GB SSD, which certainly carries enthusiast-like specifications. 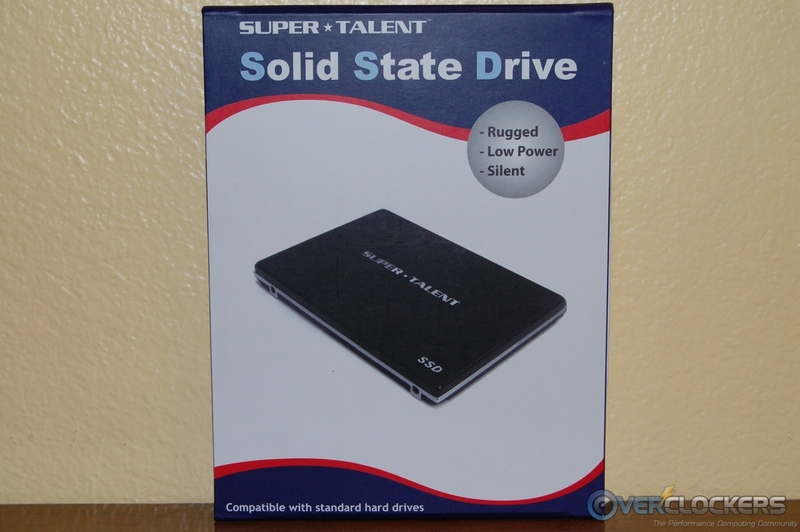 Although this unit was first released well over a year ago, it still remains a current Super Talent SSD offering. 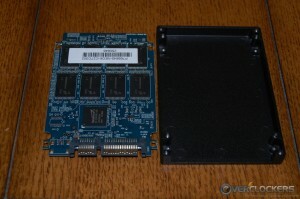 Let’s find out if the TeraDrive CT3 SSD is a worthy contender in both the SSD and enthusiast market, shall we? Here is the specification table with the data pulled from Super Talent’s web site. Alternatively, the TeraDrive CT3 data sheet can be downloaded here. There isn’t a whole lot in the features category that’s not in the specifications above, but there are a few things to mention. As a side note, I must say I like the fact Super Talent doesn’t fill their product page with a ton of marketing claims. You’ll find their products presented in a factual and concise manner, but at the same time giving you all the information you need to make an informed decision. Refreshing! The packaging for the TeraDrive CT3 is concise and to the point. There are some high level specifications and features listed on the back of the box, and the front is rather plain. Clean… I like it! The box has a flap that opens to reveal the TeraDrive CT3 sitting securely in a foam insert and wrapped in an anti-static bag. The user/installation manual and a bag of mounting screws are found sitting on top. With the TeraDrive CT3 out of the packaging, we get our first look at the black matte finish applied to the all metal housing. Just holding this drive in your hand gives you the impression of a well-built unit. There’s certainly nothing flimsy going on here! 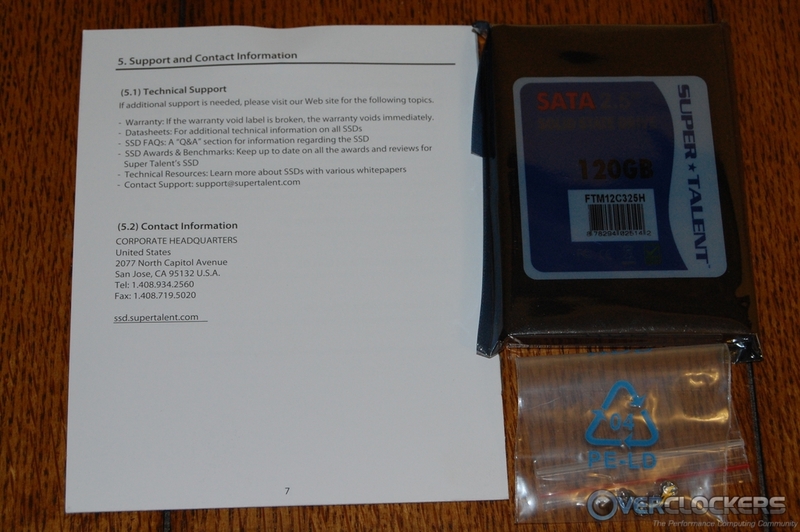 The top of the drive has a rather large sticker with some branding and basic information. On the bottom side, there is only a small bar code sticker and one security sticker placed over a case screw. 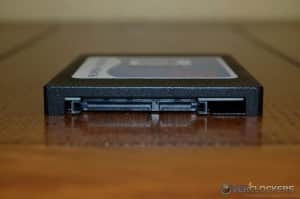 From the back of the drive, we see the SATA power and data cable connection points. In order to remove the PCB from the casing, you need to remove four screws that hold the bottom panel. Once that is done, there are four more screws that hold the PCB in the top panel. It’s simple enough to do, but be warned it does void the warranty. 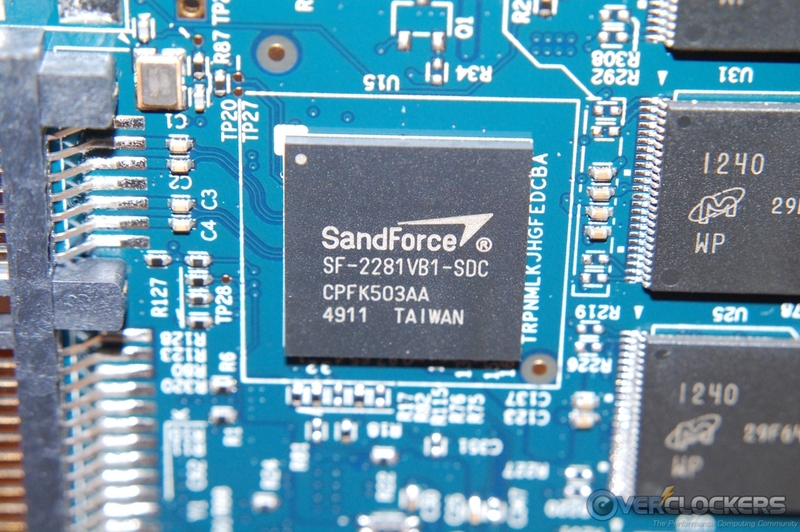 Closer inspection of the PCB reveals the SandForce SF2281 controller and 16 Micron 25nm asynchronous NAND flash memory (29F64G08CBAAA) chips. Each of the Micron memory chips are 8 GB in capacity for a total of 128 GB of raw capacity. The SandForce controller requires the use of one of these 8 GB memory modules for over provisioning and firmware, which brings us to our advertised capacity of 120 GB. 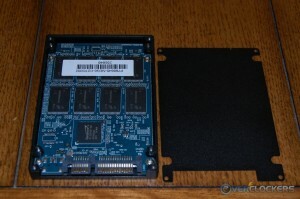 Once the drive is formatted and ready for use, the available space is reduced to right around 112 GB. 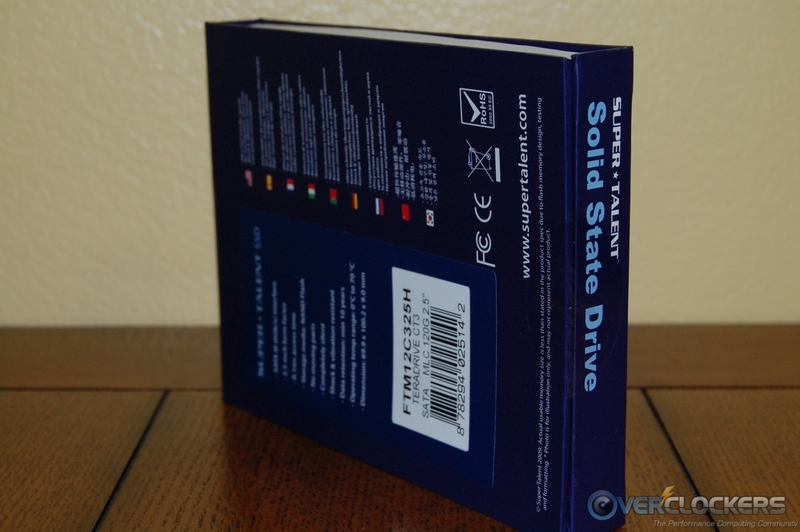 Each test was performed using the latest AHCI drivers from Intel, and the drive was secure erased after each test run. We’ll be using AS SSD, CrystalDiskMark, ATTO, and IOMeter to perform our testing. It’s important to note that SandForce controllers have always produced lower benchmark scores when incompressible data is measured. SandForce readily admits incompressible sequential data reveals their worst case scenario. AS SSD and CrystalDiskMark test exactly this and we can confirm the lower scores when compared to non-SandForce based SSDs. The majority of desktop users spend most of the time working with compressible data; and in those test results, you’ll see the TeraDrive CT3 perform quite admirably. Where the slower incompressible data performance will be noticeable is when you’re doing such things as creating or copying media files, video recording, archiving, etc. In AS SSD, the read tests were not very promising at all. In fact, the TeraDrive CT3 was beat out by an old SandForce 1200 controlled Vertex 2. In the write test, things fall a little more in line. However, the TeraDrive CT3 had trouble keeping up with the Kingston SSD Now drive, which uses the same controller as the TeraDrive CT3. It did manage to beat out the Kingston in the 4K test though. In the access time test, we had both ends of the spectrum with the read time besting the field, but the write time lost out to all the other comparison drives. 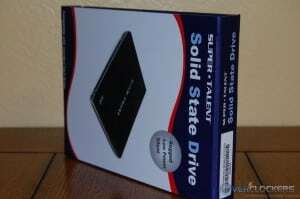 AS SSD also gives a read, write, and total performance score. 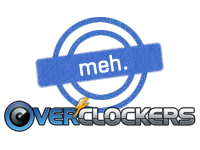 Here we see the TeraDrive losing out to all the other drives, except the Vertex 2. CrystalDiskMark also tests incompressible data with its random read/write tests. The 0Fill and 1Fill tests revert to compressible data, where you’ll see the TeraDrive perform pretty well. In the random read test, the TeraDrive CT3 is at the bottom of the pecking order and again loses out to the older generation Vertex 2, except for the 4K result. The random write test has the TeraDrive CT3 besting the older Vertex 2, but falls substantially behind the Kingston SSD Now in all but the 4K test. 0Fill read testing turns the table on the Kingston SSD Now and beats it everywhere but the 4K QD32 test. The 0Fill write test had the TeraDrive CT3 beating all other drives by a substantial margin, except for the Vertex 4 4K result. Moving over to the 1Fill read test, we see the TeraDrive CT3 again struggle in the 4K QD32 results, where it lost out to all the other drives. The other results in the 1Fill read test were about as expected. The 1Fill write test showed the TeraDrive CT3 besting all the other drives in all the tests, except for the Vertex 4 4K result. It appears from these tests that the TeraDrive CT3 handles compressible write data quite well. ATTO Disk Benchmark uses compressible data for its testing. The read side of things show a maximum of 552 Mb/s for the TeraDrive CT3, which actually beats out everything in the comparison graph. The write test shows again how well the TeraDrive does with compressible write data. It far out performs the rest of the drives when larger file sizes are measured. Editor’s Note: Please see the table below the charts for the hard numbers used to compile the graph. There simply isn’t enough room above each bar in the graph to fit the numbers. … And the data table. Our last round of testing is with IOMeter. 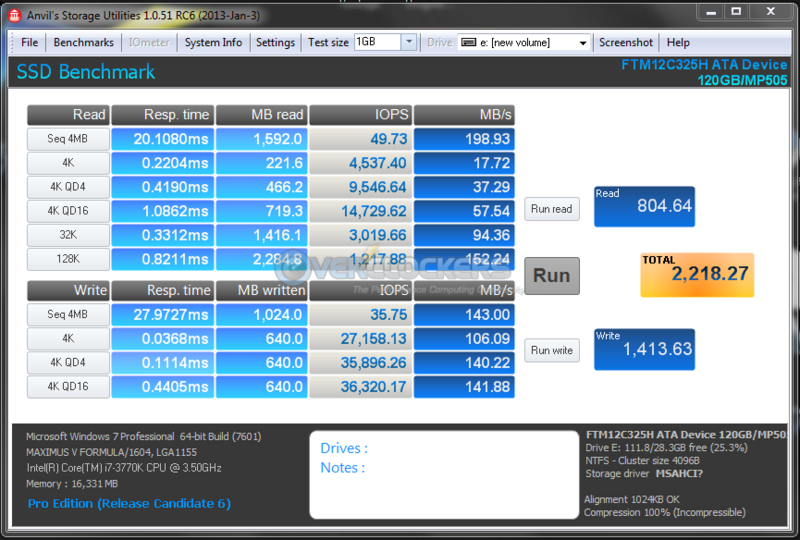 In the 4K testing, again we see the TeraDrive CT3 struggle with IOPS and transfer speed. 4K write IOPS and 4K write transfer speeds were particularly troubling as our test results showed a large disparity between the TeraDrive CT3 and the rest of the comparison drives. On the read side of the 4K testing, things weren’t much better. The TeraDrive CT3 managed only to win over the Kingston SSD Now on the IOPS test and had a small victory over the Kingston SSD Now on the transfer speed test. The 2 Mb IOMeter testing was kinder to the TeraDrvie CT3, it posted an IOPS win on the write test, and followed that up with a solid second place finish on the IOPS read test. The 2 Mb transfer test was a solid win for the TeraDrive CT3 on the write test and came up just short of the OCZ Vector in the read test. I’ve been checking out a new benchmark as of late, called Anvil’s Storage Utilities. This utility has been popping up here and there and is becoming popular within the reviewing community. I used both the compressible data test (oFill) and the 100% incompressible data test that the benchmark offers. As with the testing above, we see good numbers for the 0Fill test and the same pattern as above for the 100% incompressible test. In a nutshell, the TeraDrive CT3 shows good to excellent compressible data transfer results and average to poor incompressible data transfer results. It seems a firmware update could help with the incompressible performance; but since the latest firmware was released back in October of 2011, that doesn’t seem likely to happen. 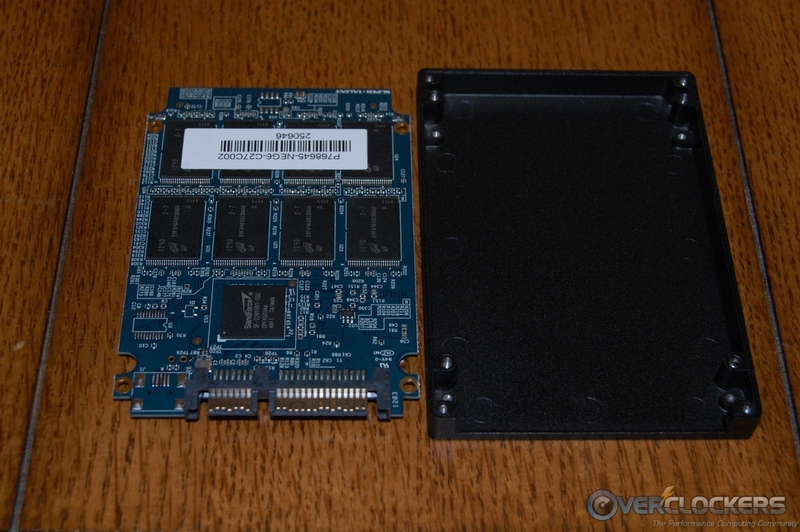 Other SSD manufacturers, such as OCZ, were able to write custom firmware for SandForce based drives that bolster incompressible data performance. I was half tempted to give the TeraDrive CT3 our stamp of approval based on the excellent compressible data benchmark results. 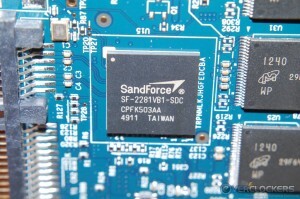 While the incompressible data speeds are nothing to write home about, they are not that far off other SandForce SF2281 controller based SSDs. Like I said earlier, most users spend most of their time working with files that are compressible. So, in the real world, the TeraDrive CT3 would perform quite well for the vast majority of people out there. Then I came to the ever important price vs. performance equation where, quite honestly, I was taken aback. 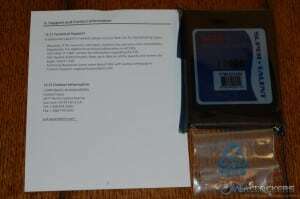 The least expensive I could find the TeraDrive CT3 120 GB was $159.99 at SuperBiiz. When you consider the OCZ Vector 128 Gb can be had for the same price, and the Samsung 840 Pro 128 Gb is even $20 less than that, you can see where I’m coming from. 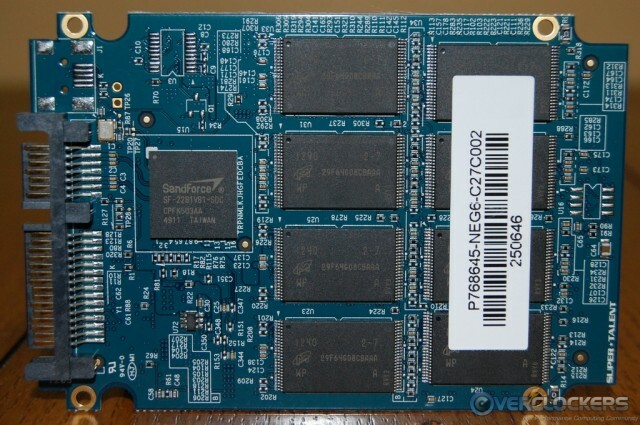 Those OCZ and Samsung series SSDs are widely considered to be the best on the market today. 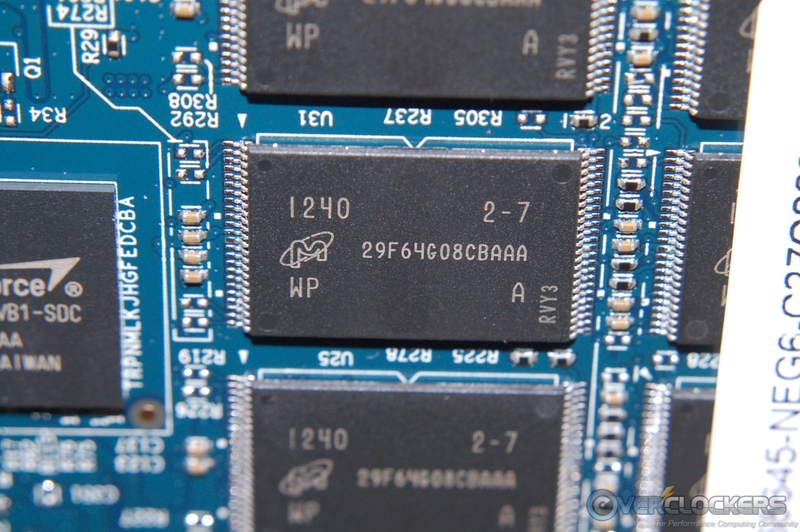 So, what happens when we compare apples to apples and look at other SandForce SF2281 controller SSDs that offer similar specifications? 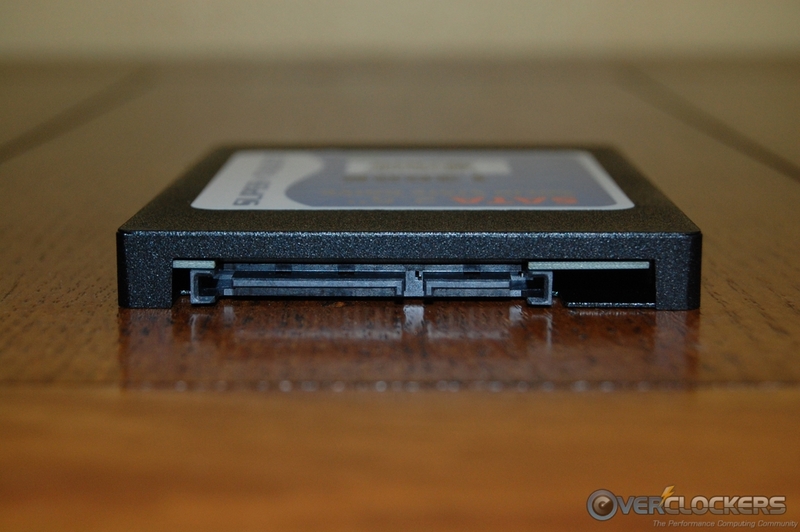 We can start with the OCZ Vertex 3, which sells for $30.00 less than the TeraDrive CT3. If we dig even deeper, we can find a SanDisk SSD with almost the exact same specifications for as little as $106.99. That’s a whopping $53 less… ouch! We sent an inquiry to Super Talent regarding the price, and they were quick to reply. They explained that the TeraDrive CT3 features DuraWrite Technology for increased endurance with low write amplification. 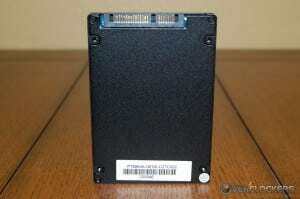 However, this is a commonly found claim by manufacturers that offer drives based on the SandForce SF2281 controller. 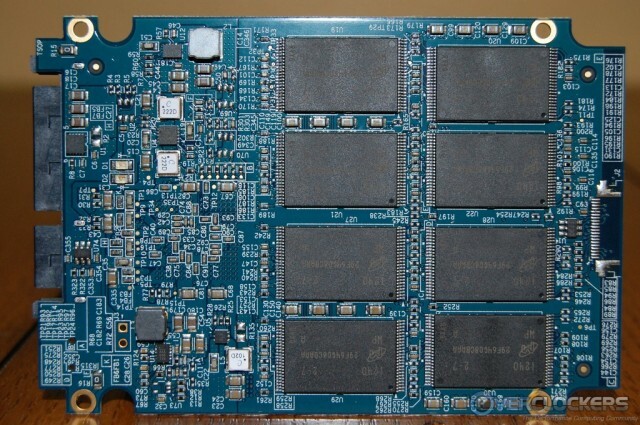 Super Talent also mentioned their TeraDrivee SSDs feature RAISE technology for enhanced reliability, and they fully support RAID cards and HBA Native SAS applications. While these features may be attractive in business and server environments, home users are unlikely to reap enough benefits from them to justify the higher price of the TeraDrive CT3. To summarize, we have a drive that performs very well in sequential compressible data environments and about as expected for a SandForce controller when incompressible data transfer is measured. 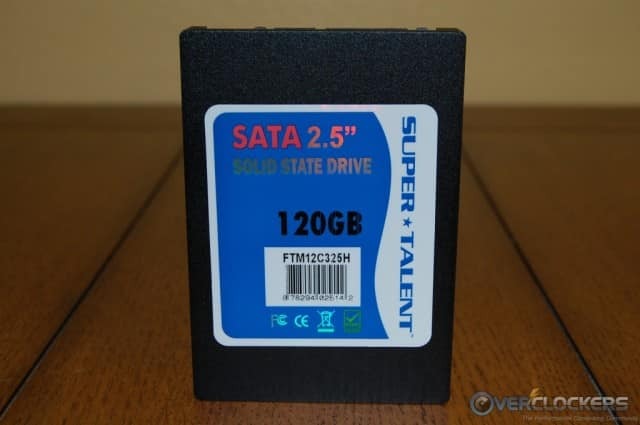 When this drive first appeared on the market a year and a half ago, it would have been much more appealing to the home/enthusiast user than it is today. 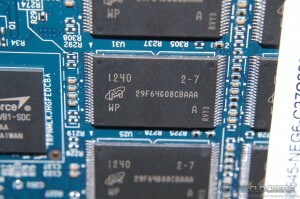 In today’s SSD market, the home and enthusiast users have better performing options available at a lower cost, in some cases up to 33% less. And that’s something I just can’t overlook. hum never heard of super talent untill now.